Leading mobile phone carrier, Verizon Wireless, is rumored on adding a new smartphone powered with Google’s Android Operating System, namely the DROID Incredible 2. Whereas no announcement has been made, the handset is expected to be unearthed over Verizon’s network in the near future, with more details to emerge. The device is expected to be released over the network as the successor of the already popular DROID incredible device which went on sale via the wireless carrier almost an year back. Not much time back, the DROID Incredible 2 was spotted on Verizon’s system and is expected to arrive as a version of the Incredible S, which was unveiled recently at the Mobile World Congress in Barcelona last month. 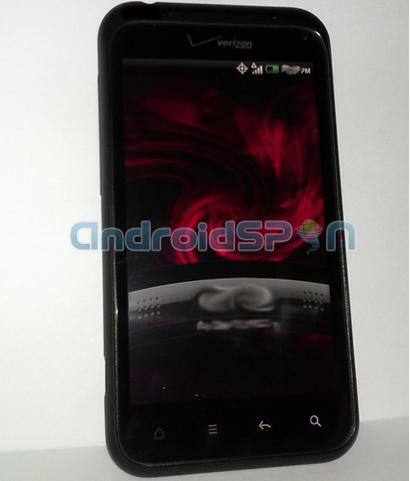 AndroidSPIN managed to grab a few photos of the smartphone, sporting a Verizon logo at the top.